Prestige townhouse living opposite Club Armstrong will soon be a reality. Townhouse living with parks, cafes, shops, playgrounds, schools and sports grounds at the very doorstep is about to hit the market at Villawood Properties’ flagship Armstrong Mount Duneed community. The prestige house and land packages, in the very heart of the masterplanned excellence-awarded Armstrong, are expected to attract buyers including first home-buyers and downsizers for their outstanding affordability, location and services access. The lots are situated opposite the resort-style Club Armstrong and Bunjil’s Nest adventure park and beside a neighbourhood activity centre with medical and retail outlets set to be built later this year. They will be priced from an outstanding $399,900 ($379,900 if you’re eligible for the first home buyers grant) and will be available from April 17. Less than a stone’s throw away is the new Armstrong West Primary School, opening in 2020, and the Armstrong reserve sports oval with a secondary school to follow. “These are going to be awesome,” said selling agent Andrew King of Homebuyers Centre. “We believe it’s probably the best, most affordable product Villawood has done in the Armstrong Mount Duneed community. “This site has attracted so much interest, people have been asking about this site for a long time, saying they want to be involved. 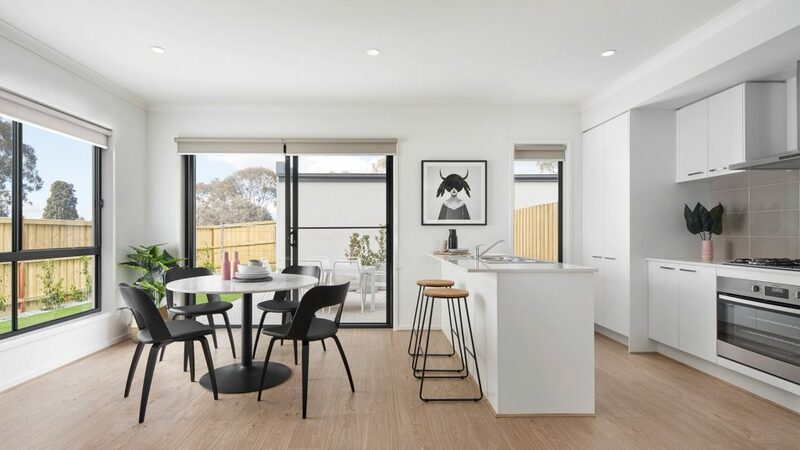 The premium status of these low maintenance lots is underscored by Armstrong’s Masterplanned Excellence award from the Urban Development Institute of Australia in 2017. This was complemented by the UDIA’s Community Engagement award last year as well as a Judges Award for the designer of Armstrong’s wetlands and character streetscapes, Barry Murphy. Armstrong also boasts a UDIA Landscape Award and 6-leaf EnviroDevelopment accreditation. For more details contact the Armstrong Sales Team 1300 710 726 or visit the land sales office at Cnr Unity Drive & Surf Coast Highway, Mt Duneed.